HDR processed photos in an artistic style - looking like paintings or being extra smooth... Most of these photos are built out of five different exposures of a single location and are combined to one photo in post-processing. 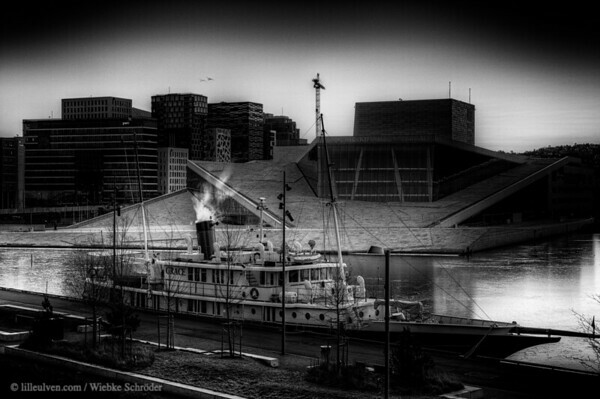 Sentrum, Oslo, Oslo, Norway Created out of an HDR and transformed into a Film Noir III image by using Sylver Efex Pro, this photo could as good be part of a Charlie Chaplin movie. uuid="D951B440-8C4A-484D-BAEA-374407CA7928" id="Norway lilleulven.com 20150305_070608_NO_Oslo_Oslo_March_sunrise_on_the_Oslofjord's_shores_(HDR)_www.LilleUlven.com_00131-Bearbeitet.tif Artistic HDR Lilleulven.com"